This is the perfect home for the first home buyer or the investor looking for a super low maintenance property that could pay great dividends in time. The home has been extensively renovated and immaculately presented for sale with a fresh coat of paint internally. There's nothing to do to start living but you could easily add your personal touches turning this property into your new home. The large corner allotment has secure fencing around the perimeter and easy care gardens that offer a lush tropical vibe and a super low maintenance design. 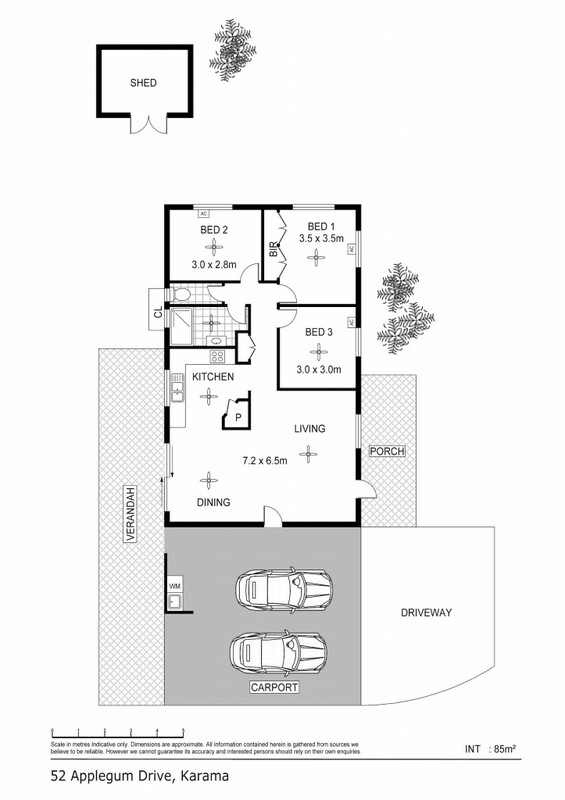 The home has a twin carport parking bay with a gorgeous feature timber ceiling that makes this area really pop and could easily double as an impressive outdoor entertaining space. Sheltered here is also the laundry amenities which have easy access to the full length rear verandah as well. Inside the home there is a large living and dining area with an open plan design and a fresh outlook with a neutral colour palette. Large windows frame the tropical gardens and the kitchen is central to this area and boast a large pantry along with overhead storage and plenty of prep space. Offering 3 bedrooms, the master is the only one with built in robes however each has carpeted flooring and also air-conditioning too. The bathroom has a bath tub along with large vanity with storage plus a separate toilet too. Located a short drive away from great schools and shops, the home is affordable and well presented for sale so the first home buyer, the investor and the start up family - you are all going to love this beginner home. Let's see where your story takes you. Simply call George Pikos on 04 3800 4800 to start your new chapter today.